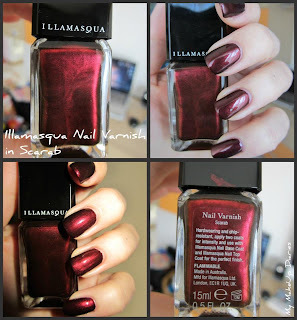 With only three days until Christmas, we have decided to have a look through some of your fantastic Nail Varnishes… Here are a few of our favourites. We love this icy snowflake design posted by ‘Polish, and make-up, and cars, oh my!’. 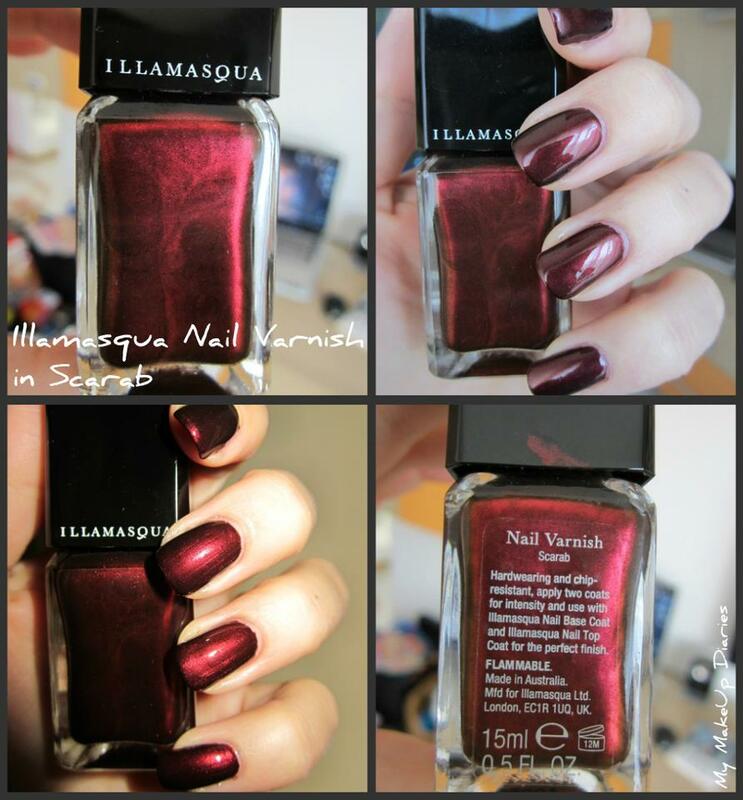 To recreate this design we suggest to start by priming your nails with Illamasqua’s Base Coat. 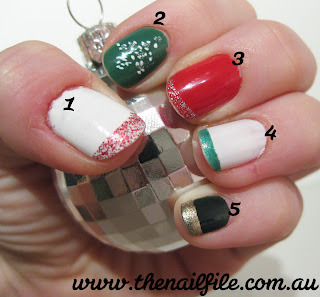 Then use Nail Varnish in Raindrops as shown in the image above. Using a nail art brush, toothpick or anything else with a thin edge (use your imagination) take Illamasqua’s white Nail Varnish in Scorch to create the snowflake design. And of corse a Top Coat to give it that glam, glossy finish! Another great design posted by ‘The Nail File’. We really love this as you can mix and match with colours to create bespoke nail art. We suggest the following colours to develop a similar design (click the colour to look at the varnishes in more detail). Try Nail Varnish in Scorch, Boosh, Ruthless, Rampage, Untold, Harsh and Spartan… and of corse don’t forget your Base and Top Coat! For anyone wanting simple yet stunning Christmas nails we have plenty of festive shades to choose from including Scarab.. Shown in the photo above, posted by ‘The Make-up Diaries’. Visit our website to see our Festive Nail Duo‘s in enchanting shades which can be worn individually or together as a dazzling combination and save £7! Incase you missed our festive nail art tutorial we have included it below to inspire you this Christmas!